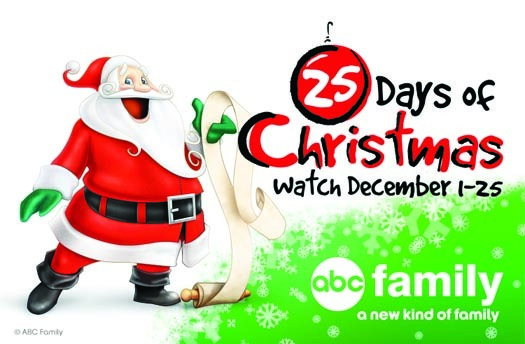 ABC Family’s 25 Days of Christmas: Even though I don’t get a chance to watch the Christmas specials every night, I love getting to sit down and watch a few of them. Some of the programs they show are ones that I grew up watching during Christmas time, and I love revisiting those memories. Christmas movies are always so happy and they make me extremely grateful for my family- last year, I remember staying up late and watching Elf (with Will Ferrell- possibly one of the best Christmas movies out there) with my friends when I had a huge paper due the next day… sometimes you just have to make sacrifices. It was worth it. NO SCHOOL: This may be the greatest thing about Christmas- you know, besides the acknowledgement of the birth of Jesus Christ. After that dreadful week of finals, I have almost a month to relax and not worry about anything having to do with school. I love Carolina, but the schoolwork is killer- if I can just make it through these next few weeks, I will throw a celebration in honor of another semester (my toughest one thus far) completed. 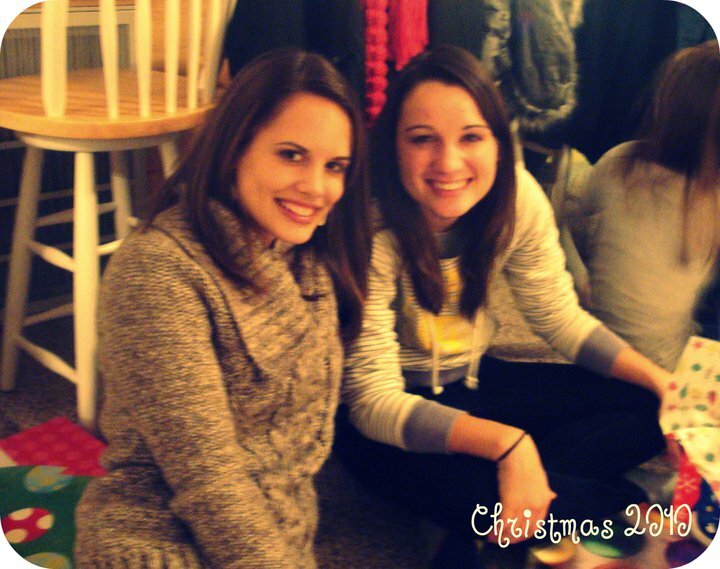 last year I got to spend my first few days of winter break with my cousins at my grandparents' house. We had a blast! Peppermint Mochas: Not that I really save the enjoyment of these for the Christmas season, but they are still pretty noteworthy. 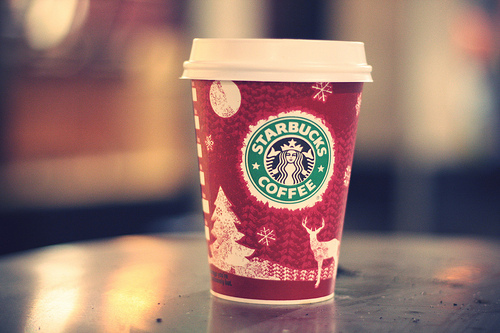 Plus, I think they taste better when they’re served in the red Starbucks Christmas cups. I recently tried the Peppermint Hot Chocolate from Starbucks and that was really good too- I don’t like peppermint that much, but something about this drink is just absolutely amazing. possibly the best starbucks drink there is. Christmas music: I realize I’m killing with the cliches right now, but I have to say it. There’s just something about Christmas music that makes any day better- and now that I have discovered all of the Pandora “holiday” stations, I love it even more. 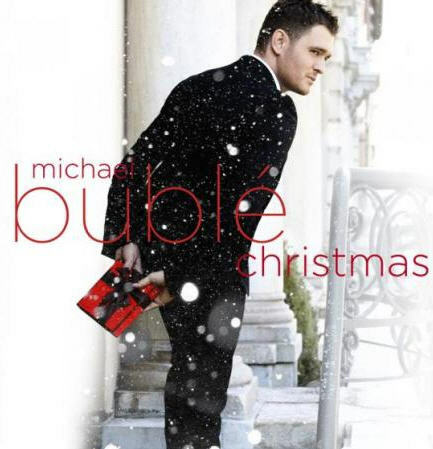 Michael Buble has a Christmas CD that I want to buy, but I struggle with buying things that I only listen to for one month out of the year- so I think I’m going to use some self-discipline as far as that purchase is concerned… especially since I can just listen to it all online. Ahh, the beauty of technology! If I'm not going to buy his album I might as well advertise for him. 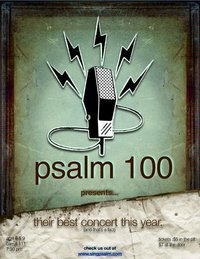 Psalm 100 Concert: A Christian a capella group on campus has a concert right before the end of the semester every year, and they are awesome. Several of my friends are in the group, which makes their concerts even more fun to attend. Last year when their concert came around, UNC experienced a beautiful snow day as well as a win over the University of Kentucky in basketball (which was totally unexpected)- it was such a perfect day! I can’t wait for the concert this year- it’s going to be so much fun! 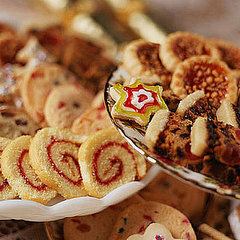 Endless Desserts: I don’t bake. I wish I did, but learning how to cook/bake/have any skill in the kitchen requires patience and a desire to learn, and I possess neither of those. BUT, my sister Erin loves baking, and my dad likes making new desserts so when you put all of that together, you end up with a kitchen full of about 75 tupperware containers filled with different types of cookies, brownies, and fudge. One thing is for sure: we never go hungry in our house. Catching up with friends: Now that I’m in my second year of college, the number of people from high school that I stay in touch with has dwindled, but there are still a good number of friends that I still get to catch up with over the break. I love seeing how everyone is doing and what they have been up to since I last saw them. It’s amazing how at one time we were all in the same place and seemingly doing the same things, and now we’re spread out and our lives are completely different… but meeting up with old friends is always a good time. I am so thankful that I have friendships that have lasted from high school. 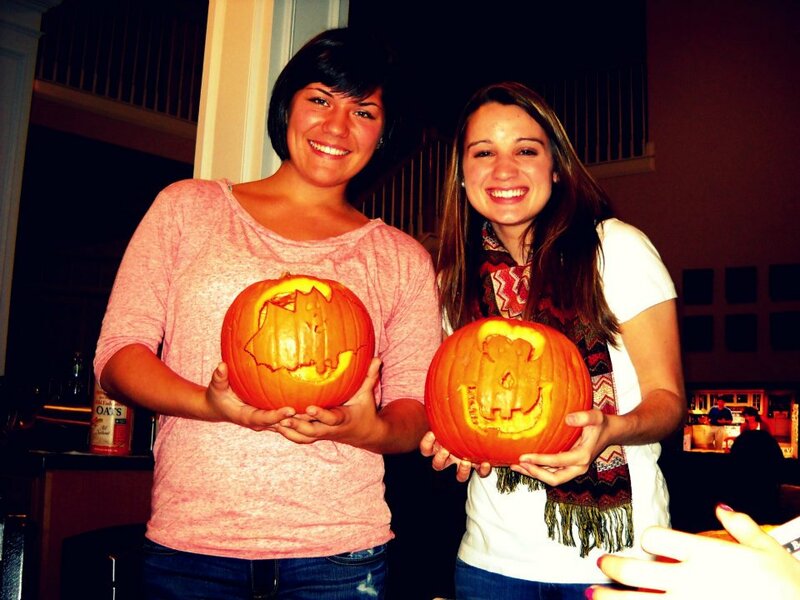 This is me and my best friend Alyssa over fall break. I love seeing her and her family when I come home! 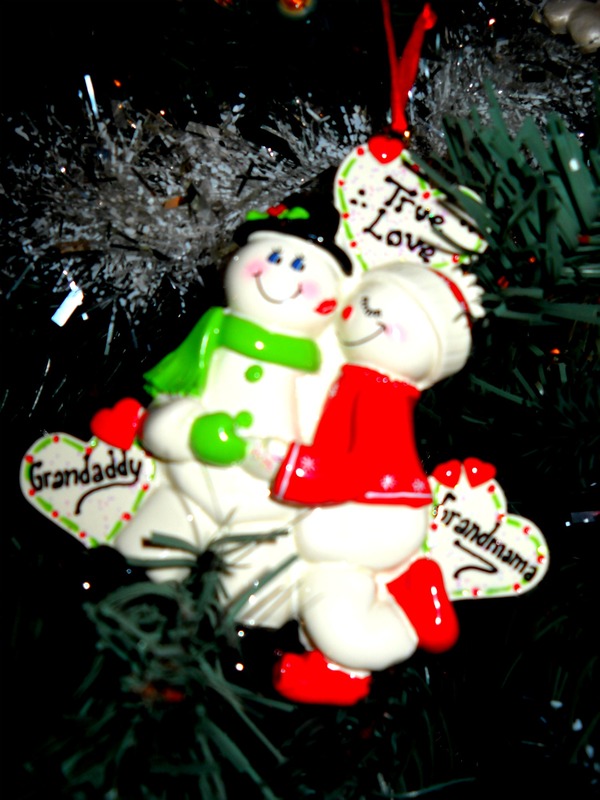 the top says "true love" and then it says "grandmama and grandaddy." This is probably my favorite ornament on our tree! And most importantly: Remembering the birth of Jesus! On Christmas Eve, our family sits down after church and we read The Christmas Story. It’s sad how our society sometimes forgets the very reason Christmas exists, because it’s so important! Christ was born! Last year I found this video that explained the birth of Christ through Facebook statuses- it was pretty cute, I’ll have to see if I can find the link! 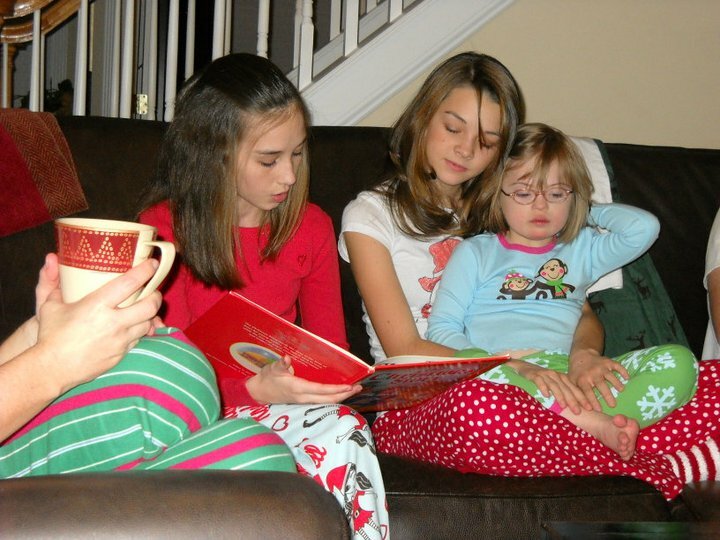 Reading The Christmas Story on Christmas Eve- I love doing this as a family! And I found the link to the video! Here’s to Christmas movies (and music), too many desserts, peppermint mochas, and the birth of our Lord and Savior– Happy Holidays! I loved reading this! And I totally agree with all of your reasons for why Christmas is so great! This was such a pleasant distraction from all my work. Keep up the good work Renee!